There is no doubt the remodeling work of the kitchen instantly changes the appearance of the entire house. 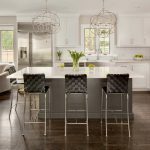 Believe it or not, kitchen is one of those areas that is prone to all kinds of dirt, grime and oil and even the most nicely-designed kitchens can look shabby when you delay the work of remodeling. However, the task is not going to be easy and you may need to go through plenty of planning and procedures before work begins. However, the best way in which to create a fresh lease of life into the kitchen is to hire the general contractors for the job. Before hiring Milwaukee contractors, you have to consider the years of experience even if it is the leading company offering services to the customers. It is necessary to understand only a contractor with a reasonably good professional track record can handle the idiosyncrasies of kitchen remodeling. With years of service, you can find out the performance, efficiency, reliability and efficiency of the contractor. The skills and strategies of the contractor in kitchen remodeling Milwaukee WI is also going to affect your decision. Try to find out whether the company is keen to discuss the issues at length with the homeowner and understand the needs and requirements of the customers properly. While there needs to be a positive relationship between the customer and the contractor, there has to be a formal agreement duly signed by both parties before commencing the work of kitchen remodeling in the premises.